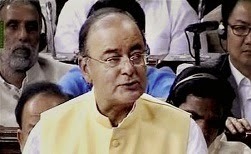 The union budget presented recently by the Finance Minister Mr. Arun Jaitely has promised to table the long awaited Insurance Laws (Amendment) Bill, which proposes to raise foreign direct investment cap to 49 per cent from current 26 per cent, in the current session of the Parliament. It is encouraging for the industry but has also created a state of confusion within the industry on some points. The budget proposals have imposed a withholding tax of 2 per cent on payment made by insurance companies to their policy holders. The logic of imposing such tax has not been defined. Further, Mr. Jaitely announced that the composite FDI ceiling in the Insurance sector is proposed to be increased up to 49 per cent from the current level of 26 percent, with full Indian management and control, through the FIPB route. In which, terms composite ceiling, full Indian management and control are not clearly defined. The industry wants to know whether full Indian management and control would be achieved through differential voting rights, or through compelling the insurers to have their board majorly with Indians and the company to be headed only by an Indian. Also, the industry is apprehensive about routing the FDI proposals through Foreign Investment Promotion Board (FIPB) instead of the current automatic route. “In the banking sector FDI up to 49 percent is under automatic route. There are lots of checks and balances in the insurance sector. With stiff solvency norms policy holders will not lose their monies. There need not be any differential treatment between these two sectors,“ a senior industry official said.